The Kansas Sports Hall of Fame/Kansas Sports Museum are dedicated to preserving the history of Kansas sports and honoring those athletes that have contributed to that history. 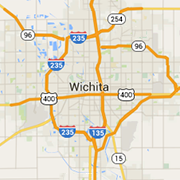 Old Town is a collection of shops, bars, restaurants, and entertainment venues nestled right in the heart of Wichita. Wichita Grand Opera is an important cultural asset for Kansans, by producing great opera performances and presenting world class ballet companies. Easily the biggest party in Kansas, the Wichita Riverfest highlights concerts, parades, food, car shows, races, vendors and so much more. A thoughtful platform for visual arts experimentation that engages the Wichita community through critical dialog and the creation of new work.